Over the years, I’ve had several business ideas that I’ve fallen in love with. I did my research for each, saw that my ideas were somewhat viable, and then set out to create the absolute best version of my business possible. That meant building an awesome website, refining the services I would offer, and/or creating my product. As you can imagine, this was achieved at great time and expense. And, as a perfectionist, I was adamant that my business wouldn’t launch until I was completely satisfied. Unfortunately, I’m not sat here talking to you as a millionaire. Ultimately, my projects tanked. Looking back, what did I do wrong? Was I wrong to pursue my ideas? Of course not! Risk lies at the heart of every entrepreneurial endeavor. In hindsight, my mistakes were obvious: I put too much time, effort, and money into my initial launch. I should have launched sooner to test the waters. A quick launch would have shown me there was little appetite for my business without investing as much. To save me from such heartache, I should have launched with a Minimum Viable Product. I first read about Minimum Viable Product (MVP) in Dan Norris’s excellent book, The 7 Day Startup: You Don’t Learn Until You Launch. You can pick up a Kindle version of the book for under $5, and I highly recommend it. For those of you who don’t know Dan, he’s one of the co-founders of the WordPress support service, WP Curve. Let’s start with a simple definition: MVP is the version of your product that can be validated by the market with the least amount of investment. I’d like to refine that definition slightly: MVP is the most streamlined version of your product that still delivers on your promises. Let’s take a look at this through the lens of a WordPress plugin developer. You develop a plugin with very few features. The plugin doesn’t resemble the plugin you ultimately hope to build in any shape or form. As a result, it doesn’t deliver value and the market rejects it. In this scenario, the plugin doesn’t meet the Viable test of MVP – the plugin just isn’t ready for market. Although the data gleaned might not make for pleasant reading, is it really valid? The market could just be rejecting your poorly-put-together plugin, not your long-term vision for the plugin. In other words, you don’t learn anything of value. You spend months developing your plugin, adding every feature you can possibly imagine. If your plugin launches to critical acclaim, there’s nothing particularly wrong with this approach. But what if it doesn’t? Even the best-laid plans cannot guarantee success. Sometimes there just isn’t a demand for the exceptional product you’ve built. This scenario fails the Minimum test of MVP – you could have launched far sooner to validate your concept. In other words, you have over-invested before launch, and, as a result, must bear an unnecessary amount of risk. You decide on the minimum number of key features that will allow the market to accurately assess your plugin. If you are pioneering some new functionality, you spend just enough time developing this feature to ensure that it does what it needs to. You spend the minimum amount of time developing your plugin to reach this point, and then you launch. As you’ve probably guessed, this is the sweet spot: the MVP. In other words, it fulfills the Minimum and Viable conditions. In this scenario, you give the market a streamlined-but-viable version of your product. If there appears to be an initial demand for your product, well, your product is validated. Go ahead and continue developing your plugin. You’ve also launched without investing too much, keeping risk at an acceptable level. Remember: MVP can never guarantee success, but it will cut your losses to a minimum if your idea is destined to fail. Now that we’ve looked at what it is, let’s explore how MVP can benefit your business. Consumers are notoriously bad at predicting their future actions. Allow me to demonstrate with an example. 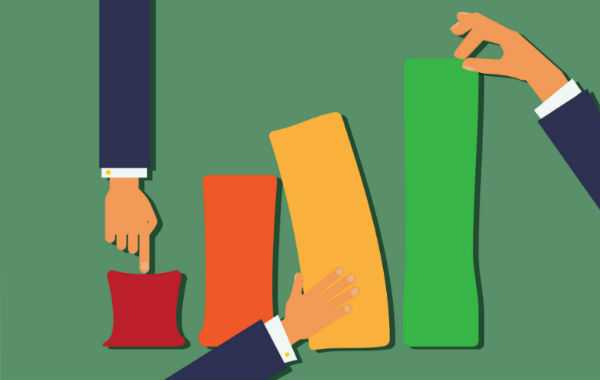 Let’s say you have an idea for a new service, so you decide to assess interest levels. The results blow you away – 60% of your email list are “very interested” in your idea. Thinking you’ve struck gold, you excitedly invest huge amounts of time and money bringing your idea to fruition. Finally, launch day arrives, so you send an email to everyone who expressed interest. Unfortunately, only one or two people actually sign up for the service you’ve now pinned your hopes and dreams to. What happened? Well, your email list liked your idea, in theory. When asked to hand over their cash, however, they realized they weren’t quite so keen on it. This isn’t a far-fetched scenario, either. Many, many business owners experience disappointment because they conduct market research based on predicted actions. MVP allows you to put together a working concept in the shortest timeframe and at minimum cost. With a real product launched, and with a real price tag attached, you will be able to truly validate your idea. You aren’t basing your data on predictions, but real world actions – and that is far more valuable. Consider a revolutionary new product, like the iPhone when it was released. Even though it did lots of cool new things, it still had the mundane functions performed by your boring old phone as well. That’s one of the realities of business: lots of businesses perform very similar functions. However, your value proposition differentiates your business from the competition. When you’re trying to build an MVP, it forces you to really hone in on your value proposition. By eliminating the “noise” of endless features, you can focus on the thing that really matters to your business. What will set your business apart? What will force consumers to sit up and take notice? And, most importantly, how will you build your value proposition into your product? It also stops you from being overly ambitious with your value proposition, as you’re looking to build something in the shortest amount of time. And, as I’m sure you’re aware, sometimes the simplest ideas are the best ones. In Dan Norris’s book (as mentioned earlier), the sub-title is particularly relevant: You Don’t Learn Until You Launch. You might believe that you know what the market wants, but until you’ve released your product, it’s all guesswork. By analyzing real world data, you might spot that the majority of customers use your product in a completely different manner to how you intended. With a proper understanding of how the market uses your product, you can improve it in ways that fulfill real needs. The same applies to customer feedback. Having used your product for a few weeks, your customers might be screaming out for a particular feature – perhaps an obvious, easily-implemented feature that you and your team were oblivious to! With this information to hand, you can start building the product that the market truly wants. When you launch more quickly, this information is available sooner. When you try to build a product from the ground up without any real world feedback, well, you’re simply building a product that you hope people need. Perhaps you awoke with the greatest idea of your life – something truly revolutionary, your ticket to instant riches. Sorry to bring you back down to Earth, but how do you know that someone else isn’t working on your idea already? 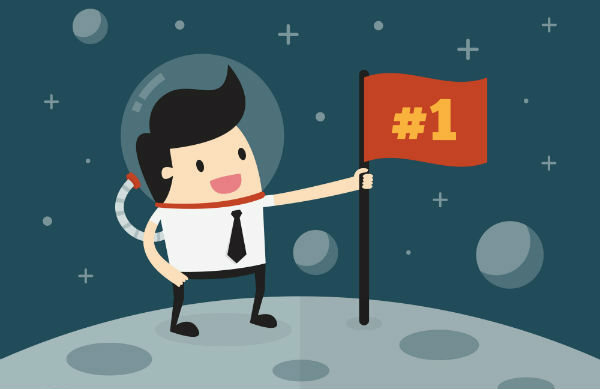 In the business world, oftentimes the first product to market wins. If your idea is groundbreaking and solves an obvious problem, well, people will rush out to buy whichever product launches first – why would they wait til tomorrow when they can solve their problem today? If you spend too long building the perfect product, an opportunity might pass you by. MVP avoids this problem by getting your product to market quickly. Sometimes really fantastic products perform inexplicably badly. Perhaps this is a result of a failed advertising campaign, an awful website, or the wrong price point. Of course, the opposite is also true. Unfortunately, some of your business’s most important “cogs” cannot be tested until you launch. For example, your sales funnel and your sales copy can’t be properly tested until you’ve got an actual product for sale – predicted behavior doesn’t count, remember! When your product launches, your entire business comes to life. This allows you to isolate your weak spots, and make improvements – improvements across your entire operation. Remember: a successful business requires more than a quality product. There really is no way of knowing which of your ideas will succeed and which will fail. The only way to know for sure is to launch a product and see what happens. If every project you launch takes, say, six months, well, you’re only going to pursue ideas you’re really passionate about. This means that some of your potentially successful ideas won’t make the cut. If you could cut that launch time down to just a month – or as Dan Norris suggests, seven days – you have the time and energy to launch far more projects. This includes some of the more speculative ideas you have. If you have entrepreneurial blood pumping through your veins, I’m sure the idea of launching more businesses will appeal to you! And of course, by starting more businesses, you’re also more likely to find the one that launches you into the big time – and the one that succeeds might surprise you. I started today’s post by describing several of my business failures. Although they were (probably always) doomed to fail, an understanding of MVP would certainly have saved me a lot of time, money, and suffering! However, the real value in following the MVP theory is the information you learn from launching quickly. This information is not based on predictions or whims. It’s backed up by cold, hard data. Learn from this data and you’re far more likely to build a scalable, profitable business – the ultimate dream of any budding entrepreneur! What are your experiences of launching a product? Do you wish you launched sooner? Share your experiences in the comments below! thanks for taking the time to share really helpful information. It is very successful and enriching your article and would come at a crucial time when many days I have been organizing and improving my business proposal. Now I am clear that I throw it once and enhance details in the way. I am a little confused by what I have read here. Can anyone clarify? Earlier in the article the author speaks of a plugin that is rushed to market too quickly and therefore has too few features to be a “viable product”. Later it is suggested that an entrepreneur should launch a product every week or even month. Wouldn’t that bring us back to launching a product with too few features to be viable? As far as I understand, it doesn’t matter, how many features you add to your product. The point is, to find the “right” features. And those are the features the market needs and is willing to pay for. This you never know at the beginning, if you haven’t made a marketing research. And here the word “learning” is the most important part. 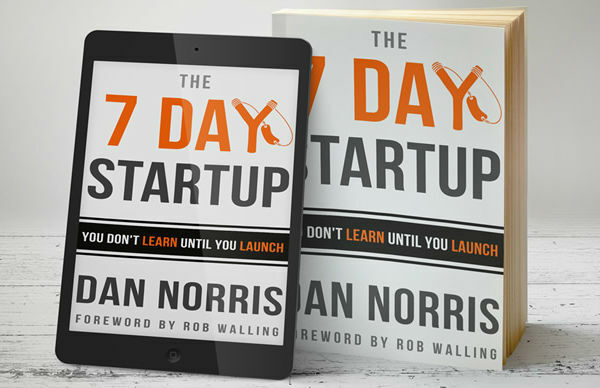 Dan Norris writes: “You do not learn until you launch”. And from my experience, that is true. Great post and if anyone wants to learn more about Minimum Viable Products, I’d highly recommend the book The Lean Startup by Eric Ries! Thanks for the shout out mate very cool!